You both place the items in the trade window, and can see what the other has placed there. 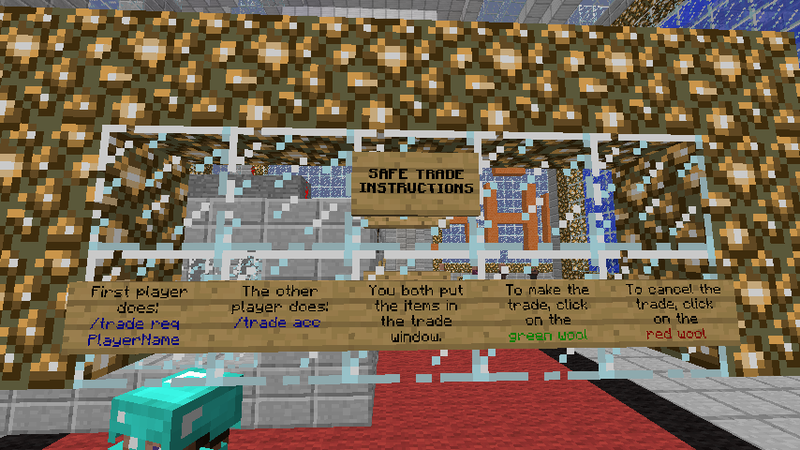 When done, click on the green wool to make the trade. To cancel the trade click on the red wool. When you click on the green wool, it will turn blue. If the other player makes any change into his items after you’ve clicked it, your wool will again turn green so you can review the new offer. 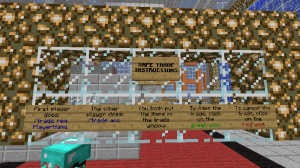 Instructions have also been added in-game, at spawn near the old trade booths. This entry was posted in Minecraft Skyblock Server News on October 15, 2012 by heatseeker0.